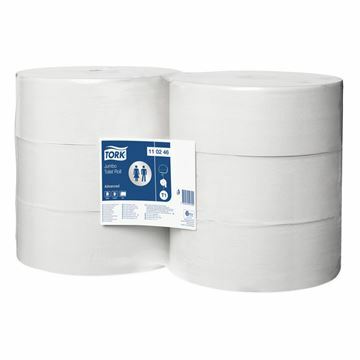 2ply jumbo toilet roll 60mm x 300m. 2ply jumbo toilet roll 76mm x 300m. This jumbo toilet roll is compatible with the Tork T1 system which balances cost and performance and is ideal for high-traffic locations. Each roll is 340m x 94mm. DISPENSER CORE ADAPTOR 2.25" TO 3"
Core Adaptor - Adapts toilet rolls that are 2.25 inches to 3 inches to fit 3 inch dispensers.